Revit Add-Ons: Share Custom RPCs for Free on Stash! Since the release in November of the new and improved RPC Creator for Dashboard there have been thousands of new RPCs created. And we've created a few ourselves! We're pleased to introduce a new way to share RPCs called Stash! Now you can share your Custom RPCs with the rest of the design community; a place where you can give (and take) your favorite RPCs. Stash! is a complimentary service brought to you by ArchVision. 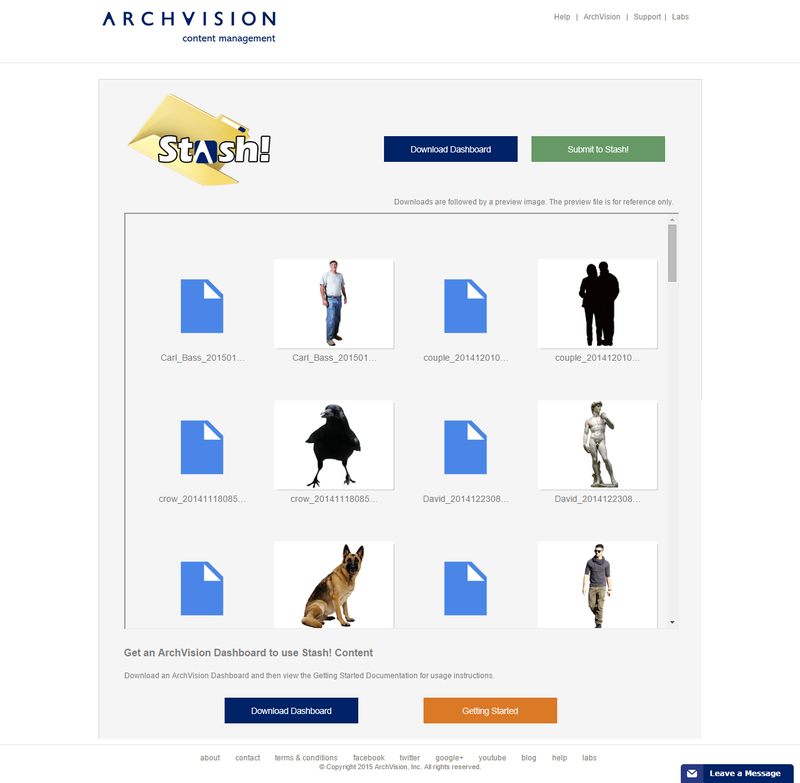 There's more information available on the ArchVision Labs website, or access the stash here.